A big weekend lies ahead for Orlando Pirates as the Buccaneers travel away to Zimbabwe to face FC Platinum. It is the first group stage match for Milutin Sredojevic and his charges as they seek to secure an away victory in the CAF Champions League. However, playing out in Africa comes with many challenges, one being facing the home crowd who will be looking to distract the Sea Robbers on the day. In Cape Town, Benni McCarthy will be looking for his second win for the year when his side hosts Baroka FC. The Citizens suffered injuries to key players in their previous match against SuperSport United and will have to make changes to his squad. Baroka, on the other hand, are in desperate need to move up the log standings and have shown on previous occasions that they can be a tough nut to crack. Former AmaZulu FC midfielder, Nhlanhla Zwane gives us his predictions on the following matches. Do you agree with his choices? Useful facts: It’s a crucial game for Orlando Pirates as it is the first of the group stages, and a positive result away from home will provide Milutin Sredojevic and his charges with a lot of hope. Looking at it on paper, FC Platinum may look like they may the whipping boys in this group, but they will be a tough nut to crack in front of a home crowd and, besides, football has a penchant for producing a fairytale story. It remains to be seen whether the Bucs coach will be resting some players for this encounter, as the Soweto giants fight for honours on the domestic front as well as on the continent. They will, however, be wary of what a scare unfancied African Stars from Namibia almost gave them, where they had to prevail with a 1-0 scoreline over two legs. Pirates will, however, be pleased that they will not be making a long trip into North or West Africa, and will be arriving with fresh legs. Useful facts: Black Leopards will surely have been buoyed by the win over neighbours Baroka FC last weekend, which propelled them to 12th place on the log standings, and so SuperSport United should be up against it in Thohoyandou. Coach Kaitano Tembo will be wary of losing a second successive game, as that could see the Tshwane side slipping out of the Top Eight bracket. Their main challenge is finding combinations that click up front, as the goals seem to have dried up. Meanwhile, they have conceded 13 goals in 16 games, so if they struggle to score on the day, they should fancy their chances of keeping Lidoda Duvha at bay. Could well end in a draw. Useful facts: Cape Town City had to fight very hard to collect maximum points against SuperSport United in a game that coach Benni McCarthy admitted they did not deserve to lose. 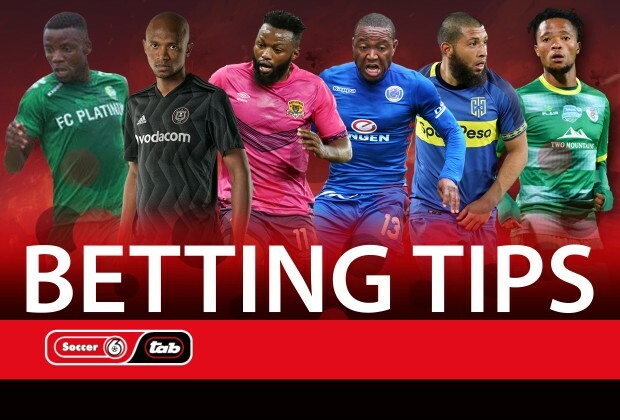 They may not be so lucky against Baroka FC, as lowly-placed on the league table as they are, as the desperation for points and to move away from the dreaded zone will see them going on the all-out attack. The visitors lost to Black Leopards in the Limpopo Derby last weekend and coach Wedson Nyirenda should be aware that another loss could signal the end of his tenure at the club, who cannot afford to go back to the National First Division. Meanwhile, the Citizens are aware that they could make a push for the league title and a win here could see them sit among the top four. This makes this game very, very crucial for Benni McCarthy’s men. I still can't believe all the negativity surrounding Pirates that comes from SL. Reading the introduction of the article you would get the belief that only OP of all SA clubs playing continental football is not guaranteed a positive result. Be that as it may, good luck to Bucs. The truth is that if we can get six points from Platinum FC we would hopefully need 3 points in the other 4 matches to qualify for quarter finals.